A complete list of everything you can use to regain health in Battlegrounds. In PlayerUnknown’s Battlegrounds, there are medical items scattered throughout the map that you can use to heal yourself after an engagement with an enemy player. Some of these items are more common than others, though all are useful when it comes to winning Battlegrounds. To help give you a better idea of what’s available in the game, here’s a complete list of all medical items found in PlayerUnknown’s Battlegrounds. 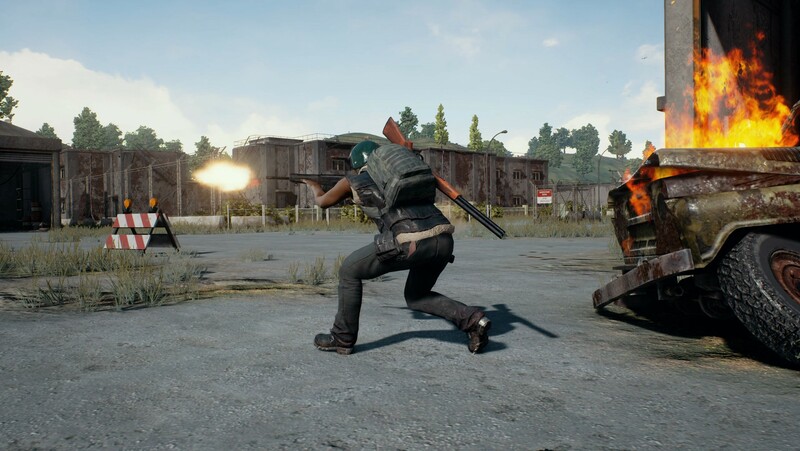 Be sure to stock up on Medical Items to heal yourself in PlayerUnknown's Battlegrounds. In Battlegrounds, Med Kits heal you for 100 health instantly but will lock you in place while you’re using them. 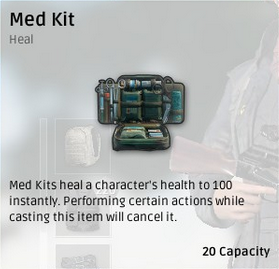 Performing another action while using the Med Kit can cancel out the action. 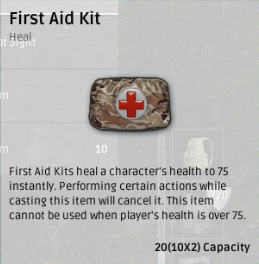 In Battlegrounds, First Aid Kits will heal you for 75 instantly. This item will not work if your health is above 75. Performing another action while using the First Aid Kit will cancel out the action. In Battlegrounds, Bandages will heal your character for 10 health after a certain period of time. This item will not work if your health is above 75. Performing another action while applying Bandages will cancel out the action. In Battlegrounds, the Painkiller consumable will help keep a player mobile while injured. 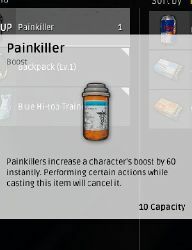 The Painkiller consumable increases a character’s Boost to 60 instantly and will enable them to start healing if their health is below 100%. Performing another action while taking Painkillers will cancel out the action. In Battlegrounds, the Adrenaline Syringe has a similar function to Painkillers in that it will keep your character mobile when injured. Performing another action while injecting your character with an Adrenaline Syringe will cancel out the action. In Battlegrounds, drinking an Energy Drink can be used to keep your character going when injured. 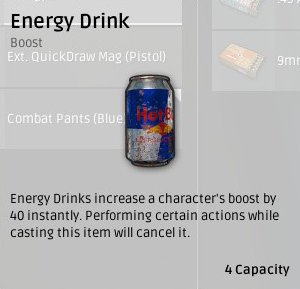 Energy Drinks will increase a character’s boost by 40 instantly and allow them to start healing if their health is below 100%. Performing another action while drinking an Energy Drink will cancel out the action. As of right now, these are the only items in PlayerUnknown’s Battlegrounds that will either restore your health, or keep you going after taking damage. Many of these items should be used sparingly, especially seeing as how items like Bandages will have no effect if your health is above 75. By reading through this list, you should now know what all of the Medical Items are in PlayerUnknown’s Battlegrounds.